Observation - Curlew. Head markings. - UK and Ireland. 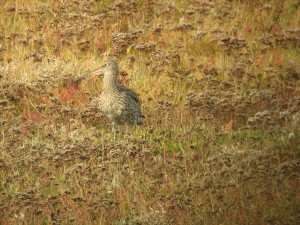 Description: Curlew feeding and preening on saltmarsh, pushed up on rising tide. Curlew feeding and preening on saltmarsh, pushed up on rising tide.